Melody Townsel of the Booker T. Washington School for the Performing and Visual Arts (HSPVA) in Dallas has been selected by Humanities Texas as one of ten recipients of the 2018 Humanities Texas Outstanding Teaching of the Humanities Award. Humanities Texas Program Officer Sam Moore will present Townsel with her award during the State of School & Arts Season Kick-Off at Booker T. Washington HSPVA on Friday, September 7 at 6 pm. Townsel will receive a $5,000 cash award, with an additional $500 for the school to purchase instructional materials. Humanities Texas presents annual statewide awards to encourage excellence in teaching and recognize Texas classroom teachers who have made exemplary contributions in teaching, curriculum development and extracurricular programming. The organization received over 750 nominations for the 2018 awards. Townsel, who is in her ninth year of teaching, teaches U.S. history, AP English Language and AP English Literature. Townsel is an interdisciplinary leader on her campus. In 2017, the National Arts School Network selected her to present on her strategies using music, visual arts, dance, debate and written expression to teach history and English language arts concepts. 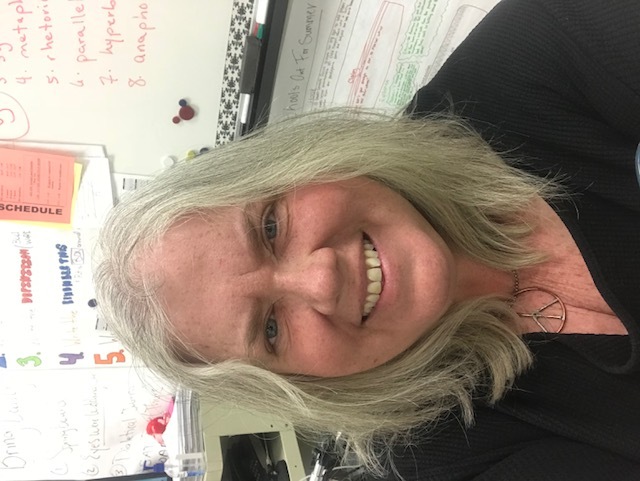 Her students practice oration and argument, for example, while debating the existence of Santa Claus; they study satire and rhetoric by delivering oral analyses of newspaper articles and current events. Humanities Texas is currently accepting nominations for the 2019 Outstanding Teaching Awards. Additional information about Humanities Texas and its teacher award program is available at www.humanitiestexas.org.